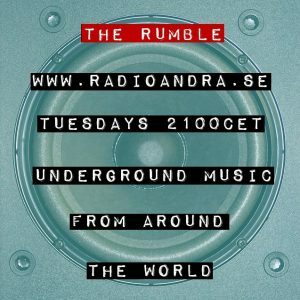 Every Tuesday night from 8pm UK time you can hear The Reckless Yes do The Rumble on Radio Andra. Presented by Pete he plays 90 minutes of the best underground music from around the world and Sarah joins him with a weekly recommendation from Louder Than War. They produce the show together. Show 50 was first broadcast on 15 November 2016. LIINES – Be Here – website and on Twitter. Buy the single on pure white 7″ vinyl (free download) here. You can listen again to this show on our podcast. We’re next on air on Tuesday 22 November 2016 from 8pm UK time. If you’d like your music to be considered for the show email Pete – pete@recklessyes.com or Sarah – sarah@recklessyes.com.